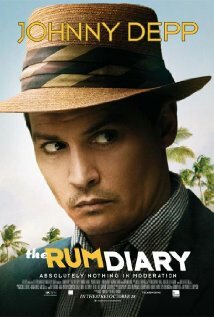 Based on Hunter S. Thompson's debut novel, The Rum Diary is set to open in the states on October 28th. Johnny Depp plays journalist Paul Kemp who has relocated to Puerto Rico to write for the only english language paper on the island, the San Juan Star. 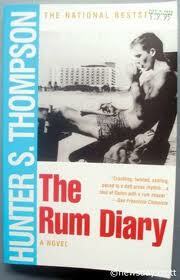 Thompson wrote the novel at age 22 but the book wasn't published until 1999. The writing is heavily influenced by F. Scott Fitzgerald and Ernest Hemingway - and the story is loosely based on his rum-soaked experiences there in the late fifties. Thompson wrote for a sports newspaper at the time - apparently the Star's editor wouldn't hire him - but he was reportedly friendly with the Star's writers. 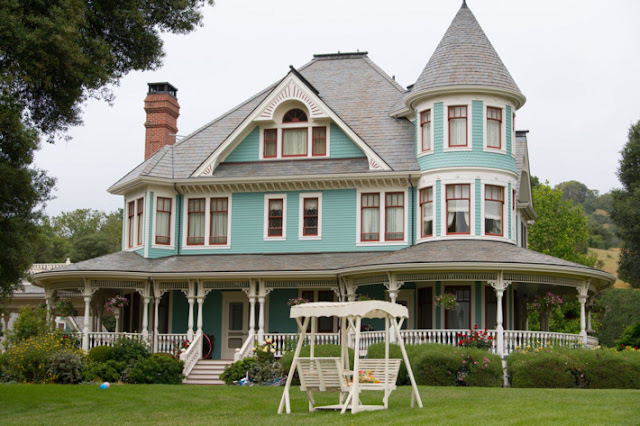 In the book, Kemp's character is just thirty two but already afraid that fortune has passed him by, that something has eluded him and always will. A peek at the imdb.com listing for the movie, as well as the trailer tells me that the writer/director Bruce Robinson (The Killing Fields) has taken some liberties with the source material. First, the age factor. Depp, doesn't look thirty-two, period. He's not only a good decade older than that; he looks it! I'm a fan, but in at least one clip that I looked at, Johnny Depp looks positively bloated. Hey Johnny, say it aint so! But is Kemps's age important? It certainly is in the novel because even though he's relatively young, Kemp has been doing this for awhile. He's worked in New York, worked abroad. Always running for something just out of reach, he fears he's a fraud and a hack and whatever dreams he may have; he's not worthy of achieving them. And won't. It's hard to imagine Kemp living that way for another decade or so before he has what? A midlife crisis? I'm curious to see how Robinson handles that. Another change from the book: In the novel,Yaemon is a fellow writer who gets fired from the Star. He has a violent temper and a temporary live in girlfriend that Kemp secretly lusts after. The three share a drunken weekend in St. Thomas central to the story. In the book Sanderson is a PR man for a big development company, making it rich off the promise of developing the tiny off shore island of Vieques into a dazzling resort. 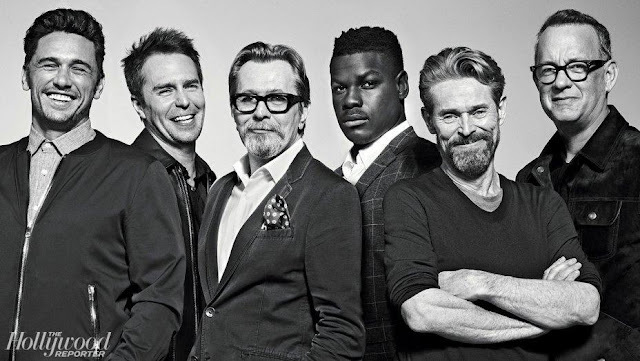 * Since the character name Yaemon doesn't appear on the cast list, I can only assume that Robinson has dropped him completely. It looks like Robinson has taken Yaemon's girl, Chenault, and given her to Sanderson! This move probably makes sense, in terms of the film, as the book version of Sanderson serves only to dangle the carrot of money and security that Kemp - full of self-loathing - lusts after. He hires Kemp to write alluring copy about the planned resort; a perfect little place that Kemp sees as pure paradise in its undeveloped state. Sanderson disappears about midway through the novel, as does that particular storyline. Give Sanderson the money AND the girl, along with the volatile temper and keep him in the game and you have a much stronger adversary. Still, while novels necessarily get hacked up in their trip to the big screen, I'm not sure how I feel about losing Yaemon; a major character in the novel. For awhile he seems to have everything Kemp thinks he wants. And when it comes to adversaries, Kemp's true adversary is himself, not Yaemon and not Sanderson. Sanderson is played by Aaron Eckhart, the film also stars Amber Heard as Chenault and Richard Jenkins as the Star's editor. I've just finished Thompson's book and for me the experience was a tad nostalgic. I lived in Puerto Rico in 1969 - about ten years after the book takes place. I was 15 years old and the beachfront hotels along Avenida de Ashford that Kemp frequents - the Caribe Hilton, the Condado Beach Hotel, La Concha - were hangouts for my friends and me. We'd wander in and out of their lobbies, hang out at their pools on the weekends, use their beachfronts and their beachchairs. Nobody cared. My family lived in a high rise on Ponce de Leon and from my window I could see the lights on the causeway leading the way across the lagoon to Old San Juan on the left, the Condado to the right. Fifteen is an impressionable age and the memories of the year I spent in Puerto Rico have always been imbued with a touch of magic. But to my eye, the island, in the late 60's, was a sumptuous beautiful playground; everything Sanderson said the area would be. I went back twenty years later and was deeply disappointed to see graffiti stained walls between the beach and the hotels, and the hotel' beach entrances guarded by security officers on horseback. I can't wait to see if Robinson was able to capture some of the magic of the San Juan I remember and to see how it all jives onscreen. *By the way, a quick Google search shows that the Hotel W has a resort on Vieques; Sandford's vision come alive!